Cubetto outputs in a few different formats. 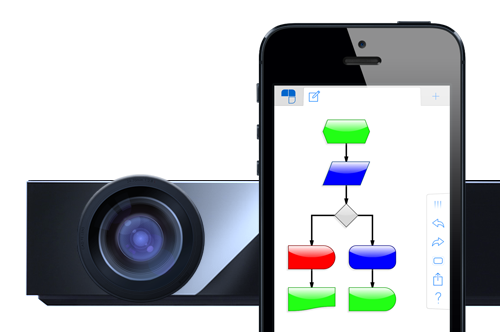 Cubetto can sync your projects on your Apple devices! 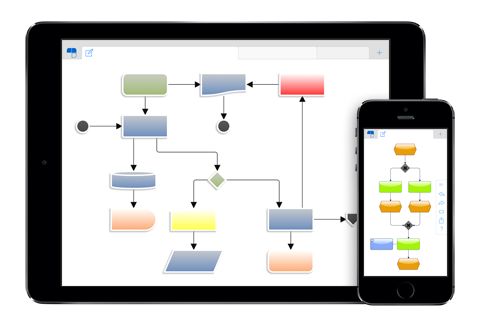 Business Process Management on your iPad, Android device or Mac. Wherever you are, always at hand. No matter if you want to model your processes, design your software or if you want to structure your thoughts. 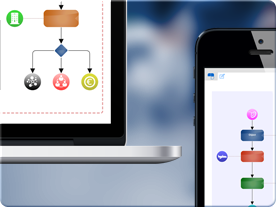 Mobile business process management was nearly impossible – until now. Cubetto offers it to you in a special way. With the possibilities of iPads you have your processes always with you in a clear and handy form. You can review them, discuss them with colleagues, present them to your team or even make changes on the spot and share them with others. Choose a language. Just model. Select from the wide range of offered modeling languages. 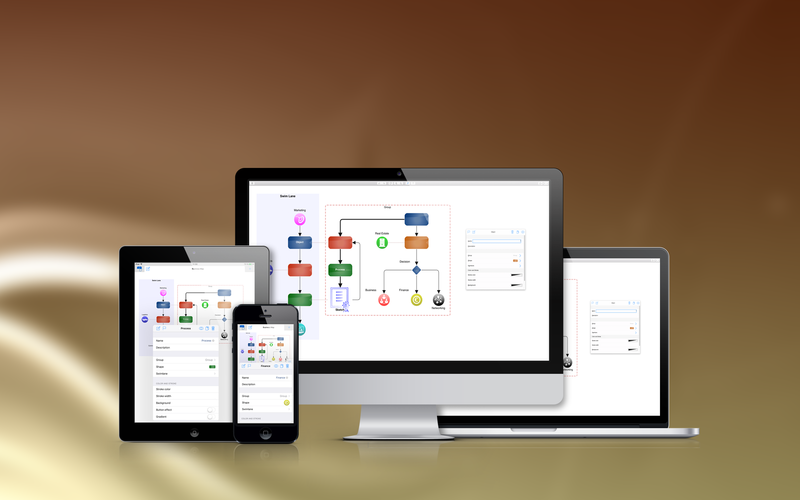 You can create your business processes with BPMN or EPCs or design your software project with UML. We created four templates for you, if those are not enough you can even create your own method. Tap after tap to your model. The specially designed wizard guides you step by step through the modeling process. It supports your selection of the next element and, therefore, already creates a correct and valuable model. 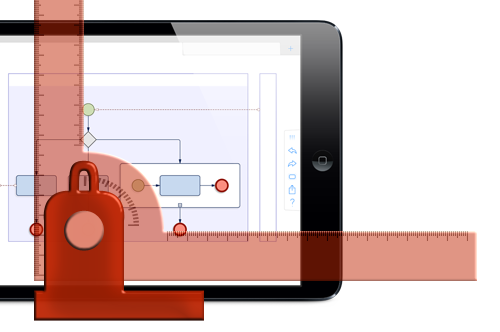 Did you ever wonder how much time you wasted with the positioning of elements in conventional BPM tools? Cubetto provides this overview automatically. The powerful layout engine allows you to stay completely focused on the contents. At the same time you get uniform models no matter who is modeling. Thus, Cubetto is not a drawing tool but a real professional. Your analysis clear and convincing. 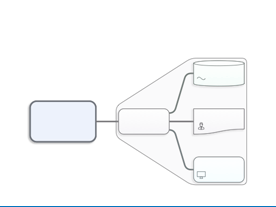 Communicate your models right when they are created. On your iPad, on a screen or in front of a large audience on a beamer – Cubetto gives you all the ways. Share your results afterwards through one of the many export possibilities. Wonderful app, easy to use fully supports 2.0 version. Very impressed with it. It allows you to devote your attention to thoroughly thinking through your process. Software architects favourite tool. If it had XMI export it would be perfect. 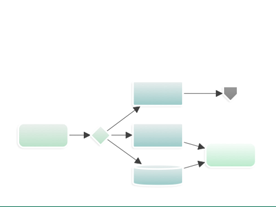 BPMN 2.0: The connection between business and IT. ERP and EPC. A great duo. Quality Management and procedures. 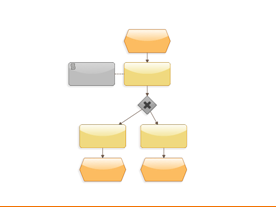 With flowcharts. 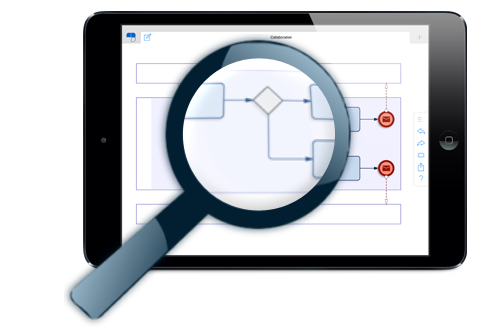 With BPMN 2.0 you can document your department's processes and automate them later with your IT. 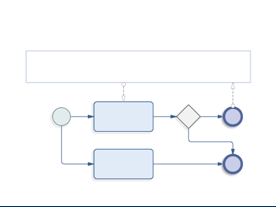 Control your ERP system with Event-driven Process Chains. 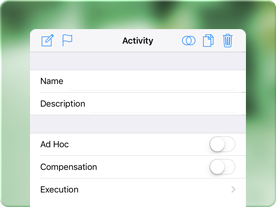 Create them easily and fast on your iPad. 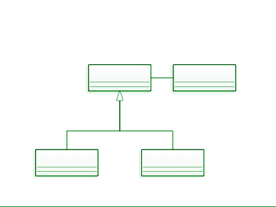 With the oldest form of flow diagrams you can create your processes easily and clearly and display them in layman's terms. 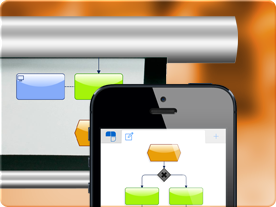 Draft you softwares structures and interfaces with UML on the go. Simply with your iPad and your fingertip. 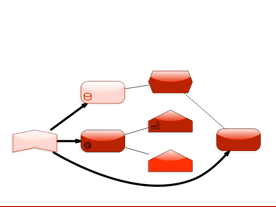 Define your own templates with "Nodes & Edges". 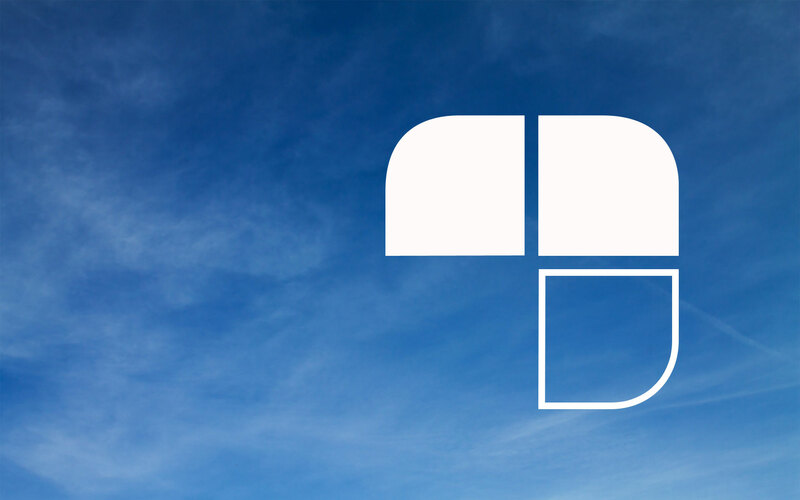 Your own language can be used as easily as our standard solutions. 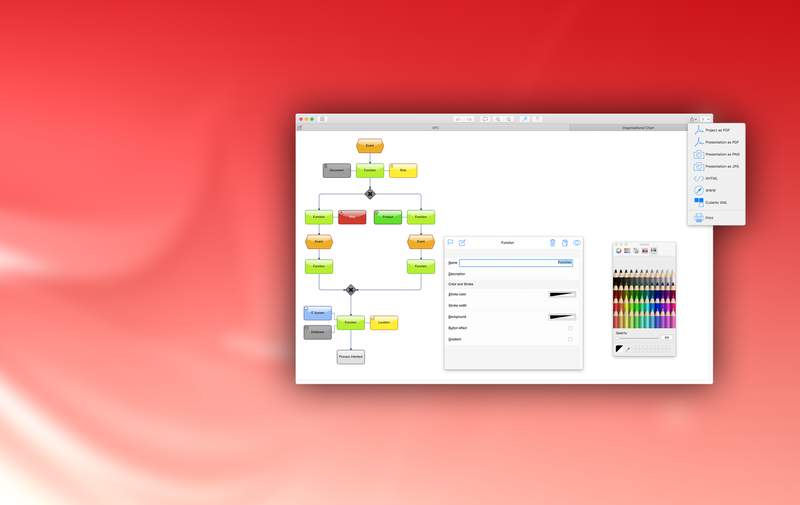 Gather your thoughts and structure them with our powerful mindmaps. With the specially designed wizard you can create your models even simpler, since it helps you selecting the next element contextually. Changes: Just one tap away. To change an element, just tap it. Every element has its own editor with optionally extensible possibilities. iPad or the big screen. Always at home. 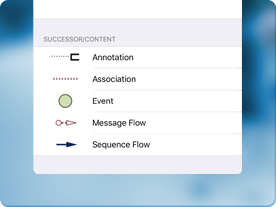 With Cubetto on you iPad you can choose from a wide range of presen­tation forms. The display's contents from the iPad or iPhone can be used with an adapter on a projector or broadcasted via AirView to an Apple TV. 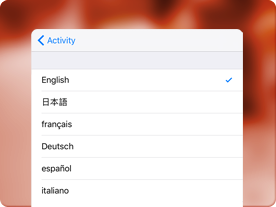 Create your model once and translate it into as many languages as you need. So you always have the same contents. 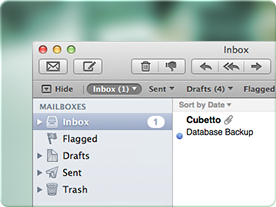 Cubetto offers access to iCloud and Dropbox. Therefore, you can easily exchange data between your own devices or with colleagues. Share your projects in many different ways. Use images of your models in other documents or archive entire projects. With a longtime history in business consulting we established a broad spectrum of experiences. Experiences you can benefit from! We provide a wide range of apps for your iPad, iPhone, Mac or Android device. 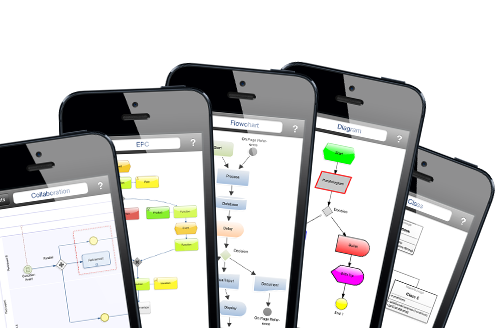 We have apps for the use of BPMN, EPCs, Flowcharts and generic modeling available. Our focus lies on a fast and easy to use operation and we oriented our technologies to these points.